"Paul Osborne, Rob Speranza (Entity), Marco van Belle (Mr. Bojagi* – short, Blue – short, Me Head’s a Shed – short) * Winner – British Lion Award, British Independent Film Festival Winner – Best Short – London Independent Film Festival"
Inspired by the same Celtic myths that J.R.R. 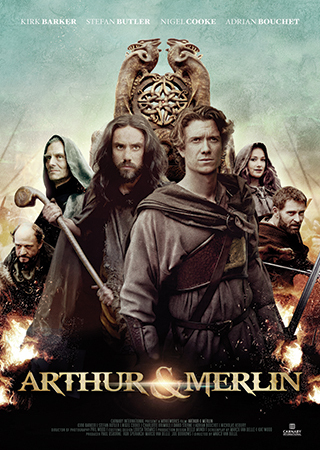 Tolkien read as a young man, Arthur & Merlin is an epic fantasy-adventure of good against evil that tells the story of these two iconic characters as you’ve never seen it before. Arthur, a banished warrior, and Merlin, a hermit wizard, embark on a heroic quest to stop Aberthol and save their people.